Welcome to the home of the Vodou Sorcerer. Here you will find magic, sorcery, and Vodou. I am an initiate of Houngan Jean Kent and carry on the knowledge and magic that was passed onto me from his Vodou House. My magic combines my experience and knowledge of Grimoire Magic and the power of Haitian Vodou. Perhaps you have come here seeking magic, or maybe it is purely out of curiosity. I ask that you take the time to browse my site and read my blog. There is something for everyone here, and I offer lessons and guidance in magic and spiritual development. I am the real deal. I live my life living and breathing magic. Everything from candle magic and practices which are commonly called hoodoo, to the living tradition of Voodoo or Vodou that I was initiated into. I perform seances with spirits, do exorcisms of evil spirits, I provide spiritual counselling and advice, and even make specialized spiritual products for intermediate and advanced magicians. I also initiate a select few people that have genuine interest and passion. Please take the time to explore my site. Feel free to contact me if you think I may be able to help you. I offer my experience and expertise to you to improve your life. 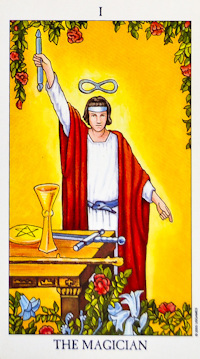 Tarot readings are available in 1 or 3 question options. 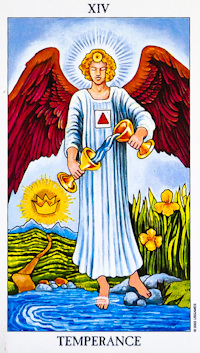 Tarot readings can either be performed live via phone or skype. Most prefer an email reading so that they can keep it for their records. Necessary for those seeking initiation or various forms of magic. The Palm reading details the Head Spirit and the prominent spirits in the client's court and details remedies and prescriptions for the client.